None of the Russian destroyers that are in operation or will be built can match the Zumwalt class destroyer . There is simply no comparison . Each VLS cell can be quad packed with RIM-162 Evolved Sea Sparrow Missiles (ESSM). This gives a maximum theoretical ESSM load out of 320 missiles. The ESSM is considered a point defense weapon not generally used for fleet area defense. Though the ESSM has a range (27 NM) exceeding that of the earlier Naval Tartar anti-aircraft missile (17.5 NM RIM-24C). Russia or China does not have the equivalent of The Total Ship Computing Environment Infrastructure of the Zumwalt class destroyer. The tumblehome hull reduces radar return and the composite material deckhouse also has a low radar returnnot to mention the 2 155mm Naval Guns . Non of the destroyer projects Russia or China has or shall produce will take even remotely as much time to be produced as Zumwalt did, will not, by any extend of imagination, reduced in numbers from 30 planed to mere 3 and will not cost even a notch of what a Zumwalt class costs to be build and maintained. Even if, and I very much doubt, Zumwalt deserve the efforts, no war ever was won on the battlefield. All wars in history was won in the bank deposits. I have an old book (2004) that describes a boat project in the1,350 ton class. Displacement is given as 1,000 tons standard and 1,350 tons full load. Armament is on UKSK launcher allowing up to 8 Club-N anti ship missiles, or anti sub missiles or mix of the two, but the gun mount is described as the A190 100mm automatic gun and also two Kahstan-M mounts and two 14.5mm HMG mounts. 8 Paket-M anti torpedo missiles are carried with various radar and sonar systems and one Ka-27 helicopter in a retractable hangar. 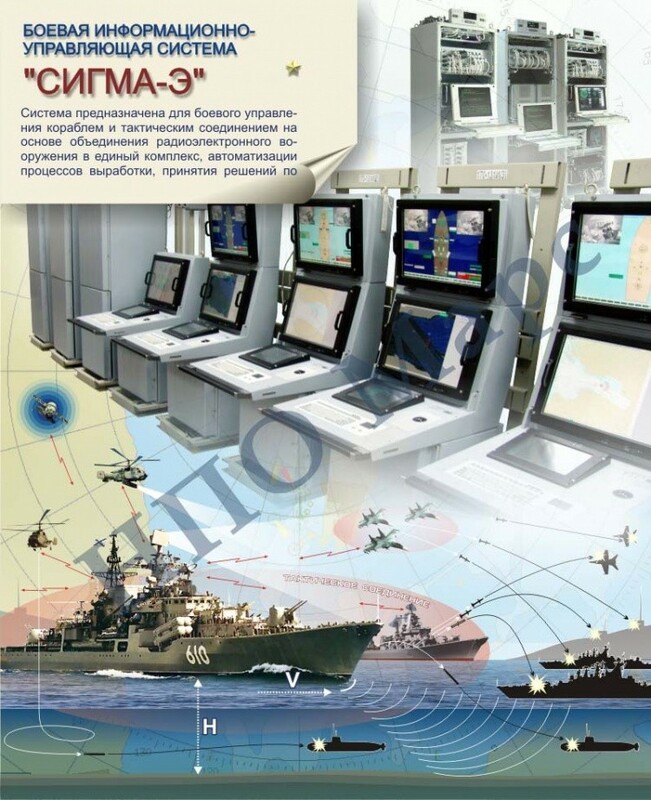 That would be the Sigma battle management and communications system that is to be fitted to all new and upgraded Russian naval vessels. Each VLS cell can be quad packed with RIM-162 Evolved Sea Sparrow Missiles (ESSM). This gives a maximum theoretical ESSM load out of 320 missiles. So it will be reasonably well protected from air attack. This means that by 2020 they could have an upgraded Kirov class vessel with 80 hypersonic anti ship missiles and 384 Vityaz 150km range SAMs and that is ignoring the Pantsirs... of which there would likely be 8, which means 16 x 30mm gatling guns and 8 x 32 missiles or 256 Pantsir-S1 missiles. That is 80 land attack or anti ship or anti sub missiles plus 640 SAMs... not really that shabby. B-but its asian, they need that much more missile as opposed to the more efficient, and refined western missiles. Kidding aside tho I think that much vityaz missile is overkill. The cannons they employ (57mm - 152mm) probably will have guided shells with multi-purpose proximity fuses that also aid in air defense as well as against pirates ships. no sh!t, a 152mm airburst proximity round would be like a shorter tho more powerful (projectile wise) pantsir missile. Perfect for slow moving cruise missiles. Against pirates i imagine a round going off on top of a pirate ship would greatly improve the ventilation . Not that shorter- its more like the length of the warhead shorter. pantsir has expanding rod warhead that more like a handful of circular expanding guilottine afaik. a 152 mm shell would rain shrapnel that would crush the structure, not merely slice it, tho the slice is not really a razor slice more like chainsaw kind of slice. Yeah here we see the latest incoherent bullshitting without evidence post by the racist idiot c**t Nick. This is really an awesome little boat. judging by the plate, which is the most accurate information source. 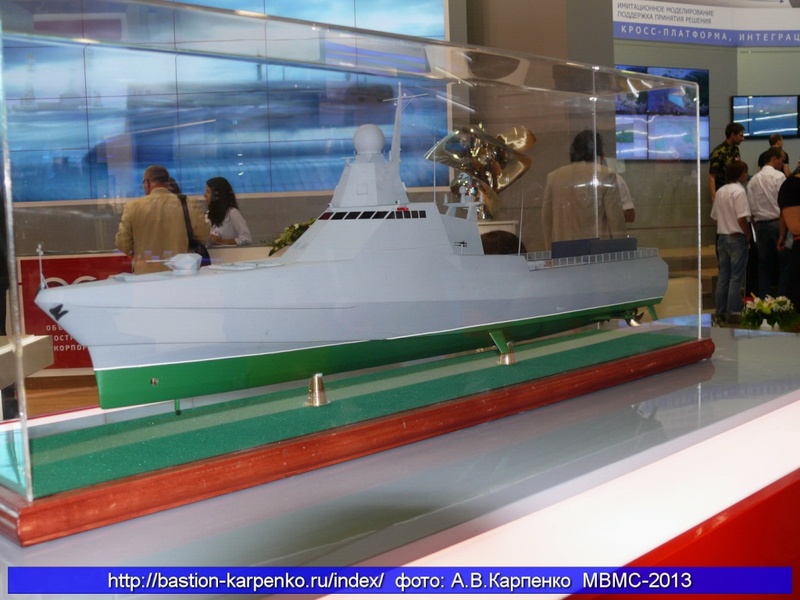 Then Russia will have a very beautiful, mordern, stealthy, powerful and flexible ship. Why in god's name does it need 16 of these lightly armed, long endurance patrol boats? Don't be fooled by "teh modularity and stealths". Actual combat units are a bigger priority. Didn't they already build 1 22160 ship for Coast guard? I think they start building it in 2012, so it should be quite near to be finished as it doesn't have a lot of new special equipment. So is this one for Coast guard or for Navy? Not really... It wont just be protecting itself, it will likely be protecting a group of ships and over the period it is at sea from loading weapons to when it can load more weapons might be some considerable period so lots of missiles makes a lot of sense. Regarding new patrol boat it is interesting that they clearly want to go for a lighter gun... perhaps to make room for more missiles? It would certainly be cheaper too. What is this Citadel system they are talking about ? BTW I suspect the use of the 57mm gun is to allow it to be mounted further forward allowing vertical launch systems to be fitted in front of the bridge... likely for SAMs if needed. It is all together possible they might have developed a vertical launch system to fire decoy rockets and RBU type depth charge rockets for smaller vessels too. A bigger combat priority agreed, but as there is currently more need for patrol vessels and having custom designed vessels that are cheap and simple will free up lots of more capable and more flexible vessels I think this is a good thing. We have seen Frigates armed like Destroyers and we will see Destroyers armed like Cruisers and likely cruisers armed like Death Stars so having patrol boats to do the normal coast guard type patrolling makes a lot of sense... especially if they are small and simple and cheap to mass produce. I have been calling it Sigma. Sigma is good but cannot be compared with Modern Aegis today in terms of exospere interceptors. Is limited only to Airspace and underwater and land operations its command system ,cannot be used against very high altitude near earth space targets. Russia needs to get their Super Long Range S-500s ,then a naval version and then a big destroyer or cruise warship that can launch s-500s to shut down very high altitude ICBMs or satellites in the geosphere orbit. intercept High Ballistics missiles from the sea. For example shut down ICBM from the center of caspian sea, Black sea or Mediterranean sea,China sea or atlantic or pacifict.. also help Protect strategic allies. Sigma is very good but lacks pieces that AEGIS lacked until recently. This is another reason why the Kirov class vessels should be reactivated and upgraded... with new long range AESA radars they will extend the vision and reach of the Russian Navy well in to space. The Naval S-500 will be useful but a few modified Akula (typhoon) class vessels with dedicated anti satellite missiles able to launch new replacement satellites from any of the worlds oceans, or shoot down enemy satellites would be enormously useful. MOSCOW, March 04. /ITAR-TASS/. In 2013, the Russian Navy fulfilled the tasks of ensuring strategic deterrence and other tasks set forth by the Supreme Commander-in-Chief. A big role in the implementation of these tasks was assigned to big landing craft, said Defense Minister Sergei Shoigu at an intercom conference on Tuesday. At present, the Russian Navy employs 19 ships of that class. Their average service life is more than 25 years, Shoigu added. "The defense ministry has been renewing the fleet of the landing craft now," Shoigu said. In 2015, the Russian Navy will bring into service the Ivan Gren landing ship and two helicopter carriers — the Vladivostok and the Sevastopol, Shoigu said. Nevertheless, this is obviously not sufficient; therefore, attention should be paid to maintenance of the technical readiness of ships of that class, Shoigu said. "Two such ships at least should be restored every year," Shoigu added. "Taking into account the intense use of the landing craft we are planning additional measures to maintain their combat readiness at a proper level," Gen. Shoigu said. He asked the Navy command to report what measures were being taken for that purpose. Perhaps it's a bit early, but nevertheless considering the situation in Ukraine, i would like to ask what is the Black Sea Fleet's current level of combat readiness, and yes, i know the U.S isn't stupid enough to actually start a shooting war, but better save then sorry. Eh, for a minute I thought the headline said "Amphibious Sub Building Plans"
Now that woulda been summit alright. "Saturn" provided full layouts of new industrial gas turbine engines GTD-4PM and E-70/8RD within the general stand of the United Engine Corporation (UEC) at the XII international exhibition of Russian Power - 2014. In addition, the company discussed issues on the future supply of equipment for the Navy of Russia. A full-scale gas turbine GTE-4PM designed to drive gas compressors comprising pumping units and thermal power generators as part of small and medium capacity. Large energy companies plan to use it for underground gas storage. 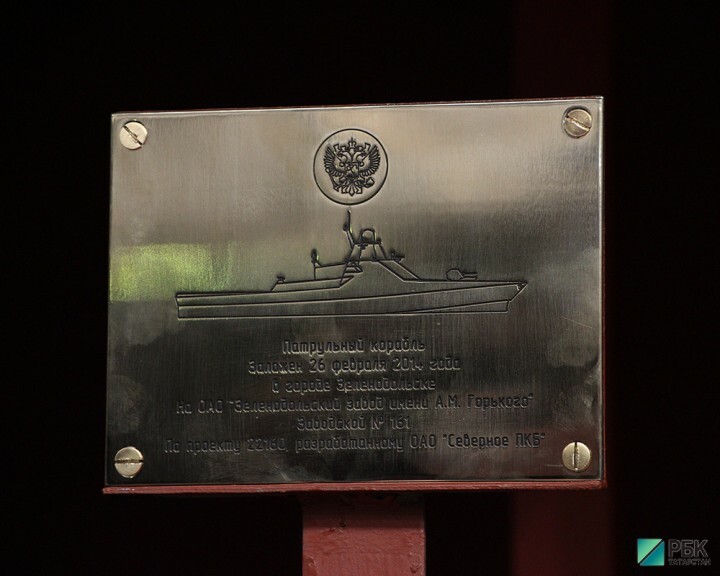 GTD-4PM first was commissioned in 2004 by Kasimovsky UGS. Now the production company involved 38, 39 and 40th cars. During the exhibition specialists "Saturn" held a series of meetings and negotiations with representatives of client companies, discussed the operation of engines on objects and scheduled overhauls. 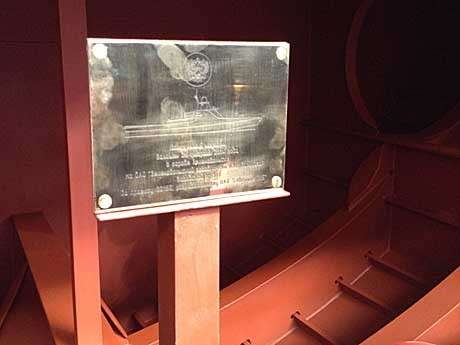 To date, the "Saturn" is successfully developing and marine program. Many visitors expressed interest in layout "engine for the sea and the coastal zone," the booth "Saturn". According to Paul Fetisov Marine topics already discussed the issues of attracting "Saturn" to the supply ship gas-turbine engines and components for new ships of the Navy of Russia, as well as the company's participation in the modernization of the existing fleet. JSC " Scientific and Production Association "Saturn" - engine-building company, specializing in developing, manufacturing and after-sales service of gas turbine engines for military and civil aviation, naval ships, power generation and gas-pumping units. "Saturn" is part of the United Engine Corporation is the parent company and battalion "Engines for Civil Aviation" (business unit APC). United Engine Corporation (UEC ) - the company, whose integrated structure of more than 85% of companies in the development, mass production and servicing of gas turbine equipment. can any one post key points of the interview ?